It’s been an amazing start to the spring semester! Over the past few weeks, I’ve traveled around the state — making stops in Naples, Jacksonville, Coral Gables and Fort Lauderdale — to share our good news. Everywhere I go, the people I meet are optimistic about Florida State’s future. That’s a testament to you and the great work you’re doing in all corners of our university. Our academic programs continue to earn national recognition. In early January, we learned that five of our online graduate programs ranked in the Top 20 — three in the Top 10 — according to U.S. News & World Report’s 2017 Best Online Programs. These rankings — education (No. 3), criminal justice (No. 7), non-MBA business (No. 9), information technology (No. 11) and MBA (No. 16) — reflect the across-the-board dedication of our faculty and staff to provide a high-quality educational experience for our students. And, just last week, we learned that our graduate program in Interior Design has been named the second most admired program in the nation! Congratulations to all the deans, department chairs and faculty for leading these programs to national prominence! It’s not only our academic programs making news — our alumni are, too. You may have heard some buzz about “Moonlight,” which won Best Motion Picture at the Golden Globes in January. Eight FSU alums, including Director Barry Jenkins, created that film. Now the film has been nominated for eight Academy Awards, and I can’t wait to tune in to the Oscars on Feb. 26! 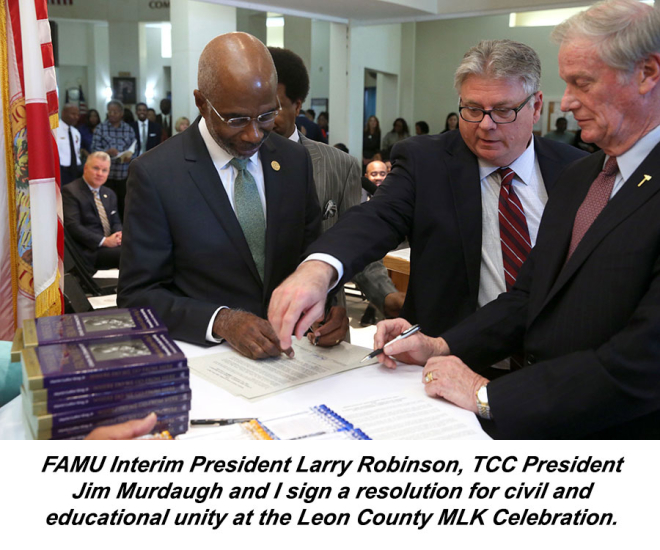 As you know, diversity is one of my top priorities, which is why I joined Florida A&M Interim President Larry Robinson and TCC President Jim Murdaugh at Leon County’s Martin Luther King Jr. event on Jan. 11 to sign a resolution affirming our responsibility to honor the rights and dignity of all who attend our institutions. I was happy to see many of you on Jan. 27 at the groundbreaking of a much-anticipated new facility for the Black Student Union. The new 5,600-square-foot, two-story building will be located at 921 W. Jefferson St. 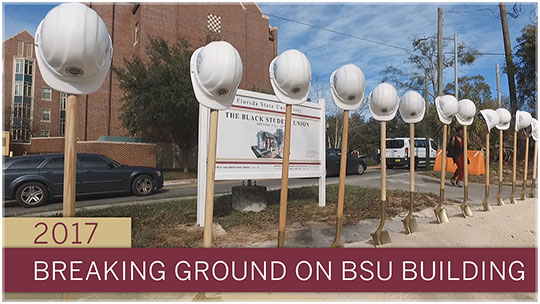 The building, which will also house FSU’s African-American Studies program, is expected to be completed later this year. I hope it will serve as a visible reminder of Florida State’s commitment to nurturing a diverse and multicultural, student-centered environment. Last month, we welcomed another national academy member to the faculty ranks. 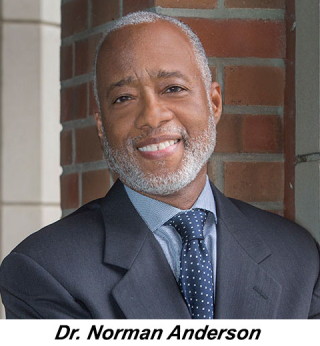 Dr. Norman Anderson, an eminent psychologist and member of the National Academy of Medicine, joined FSU with primary appointments as a research professor in both the College of Social Work and the College of Nursing. He also is serving as assistant vice president for research and academic affairs. Dr. Anderson will focus on mentoring young faculty, building new interdisciplinary programs and enhancing existing research programs by looking for new opportunities for funding. We’re happy to have him here! 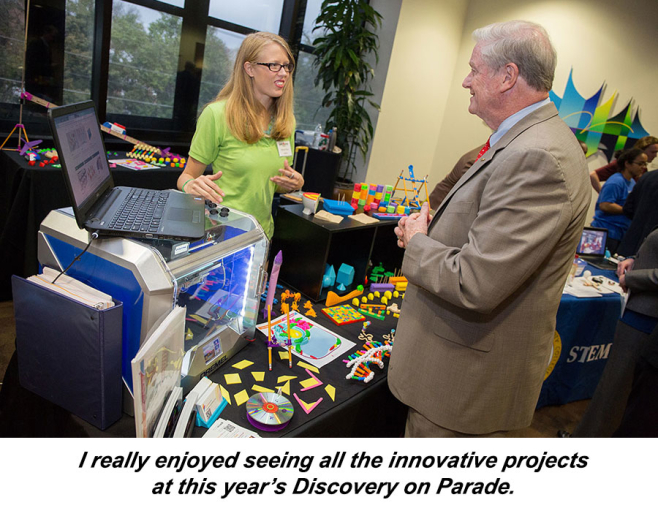 Earlier this month, I was glad to have the opportunity to stop by Discovery on Parade, a community event that we co-host with FAMU and TCC. It's really exciting to see the innovative projects our local researchers are producing. We're also in the heart of the Opening Nights Performing Arts winter season — a world-class arts festival that really distinguishes us from other universities in the country. I had an opportunity to see Smokey Robinson perform the other night, and he's still got it! I hope you've been able to catch a performance or two. We’re getting ready for the Florida Legislature to begin its 2017 Session on March 7. Our largest budget request is for funding to support hiring additional faculty to lower our student-faculty ratio and improve our retention of the great faculty we already have. We appreciate all you do to make FSU a preeminent institution, and we want to keep you here! We’re also requesting preeminence and performance funding, as well as funds to increase our stipends for graduate students and support our postdocs. In addition, we’re asking for support to complete our Earth, Ocean and Atmospheric Science Building, as well as funds for other academic buildings. Florida State is on the rise, and all of you play a big part in our success. I always enjoy reading the positive media attention you are generating for FSU, and I’m pleased to share some of those clips below. I’d also like to encourage you to check out the Faculty and Staff Briefs that the communications staff compiles monthly. It’s a great way to keep up with what your colleagues are doing. Please keep sharing your news with me. I always look forward to hearing your ideas and feedback.